I put this slide together for an upcoming Helping Hand presentation on crystal installation. 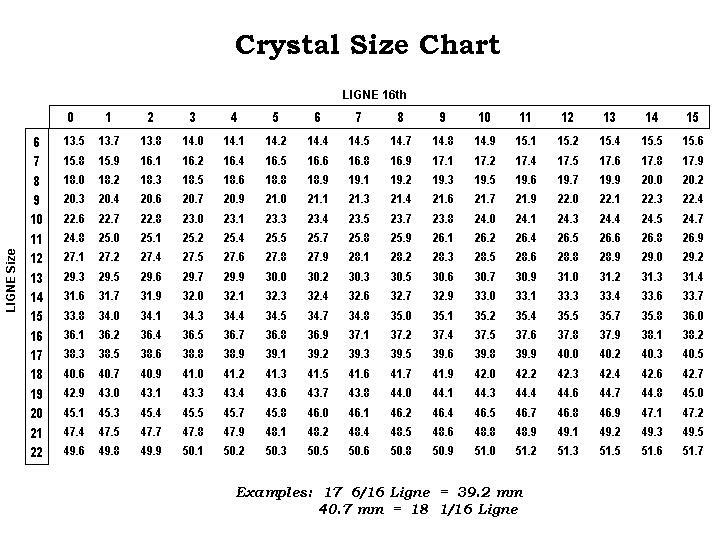 In the meantime, I thought it would be of some help to anyone trying to figure out what the ligne numbers on the crystal labels will convert to in millimeters. Just measure your bezel lip from 12:00 to 6:00 and 9:00 to 3:00. Use the average of the two measurements to determine the width in millimeters. There is an example on the chart to help you. Interpolation may be required for in-between sizes. Feel free to print the chart if it is of help. For Windows users, you can right-click with your mouse on the slide and then "Save as" to your local drive. For Apple users, put your curser on the slide, hold the 'Control' key down and then click on the mouse button for a list of several choices or simply drag-and-drop it on your desktop and print it from there. Hi John, Just found your excellent chart but need some clarification. I can see that taking the two measurements will give the average size but this will be the actual opening on the front of the bezel. How do you then decide how much bigger it has to be to fit it in using a heat? 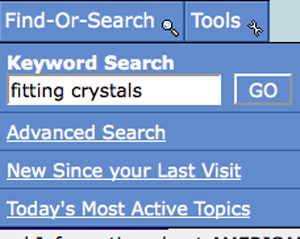 John is yet to give detail on your question so I thought I would point you to a similar discussion on this topic, just click on the search facility on the left top of the page and type in "fitting crystals". If you scroll thru some of the search results you will find discussions on this question. In one of these I give a brief explanation on this sizing question. Please be aware that everybody has variations on how things are down, so undoubtedly you will always get differing opinions on what works for each indivdual. When considering these differences always remember that different materials expand & contract differently relative to the amount of heat used, this is just plain physics and does not change regardless of one's own personal opinions. Hope this helps. If you can learn to fit these crystals properly, each time you do it, it will save you stacks of time, takes me about 30 secs-3 mins to fit once you have sourced the correct crystal from your stock depending on if it is glass or plastic. Do not glue them if you can help it, although I know there will be a cascade of opposing views to that comment.